Being the victim of a crime can be both frightening and frustrating. Getting compensation for crime victims is not always easy and usually requires the assistance of a Tucson crime victim lawyer. As a victim, you are usually entitled to criminal restitution. Unfortunately, restitution ordered as part of a criminal sentence is often unpaid or paid very slowly over time. The State will not usually go to great lengths to collect this restitution. Moreover, criminal restitution only covers certain out of pocket expenses you have incurred as a result of the crime. It does not cover things like pain and suffering. As a crime victim, you may also have a civil claim for damages that could be covered by an insurance policy. Many Arizona crime victims struggle with large medical bills or require years of therapy and/or rehabilitation. A civil claim is one important way to achieve compensation for Arizona crime victims. It can provide a measure of justice and finance your recovery. If you are unable to obtain compensation for your injuries through criminal restitution and/or a civil claim, you may apply to the Arizona Crime Victim Compensation Board to recover certain expenses. If you or a loved one has been injured, physically or emotionally, as a result of an assault, a sexual assault, a DUI accident, or any other crime, you should speak with an experienced personal injury attorney who also has experience with the criminal justice system to determine whether you have a civil claim against the defendant or anyone else. 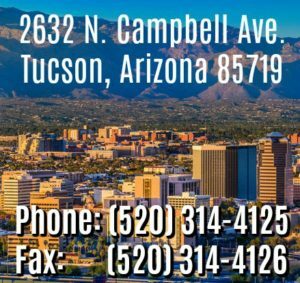 For a free case evaluation with a Tucson crime victim lawyer, call our Tucson office at 520-314-4125 or contact us online.